I think there must be some force in the universe that is actively preventing me from making any knitting project progress. (I suspect that force is Time, or The Lack Thereof… perhaps with a healthy dose of Indecision.) Here’s what I accomplished (ha!) this week. I’m enjoying playing around with my three little Turkish spindles. On the Capar to the left is some Louet Merino/silk, on the Jenkins Aegean in the middle is a BMFA yak/silk blend, and on the mini Enid Ashcroft is Miss Babs Merino/silk. I’m amazed at how differently they each spin! The Capar feels slow and steady. The Jenkins is flighty and needs lots of attention (i.e., multiple flicks per make). The EA is easygoing and a real pleasure to use. I pick them up here and there throughout the day. I have not yet made a habit of spindling for long, productive lengths of time nor have I gotten comfortable spinning out and about (like, say, waiting in a doctor’s office) which is when most of my crafting time occurs. Do you spin in any unusual places? BMFA BFL superwash, colorway Royal. Click for project page. You’ll have to pretend like that’s a current, decent picture of my sock project… because it’s not. The purple area is meant to represent the length it is at the moment. Some progress, yay! Cephalopod Yarns Traveller, colorway Hobart, IN. Photo copyright Hunter Hammersen. Click for pattern page. Photo copyright madelinetosh. Click for pattern page. Or the Honey Cowl. I think if I use half of each skein for each project and alternate for a bit in the middle, the color differences shouldn’t be too noticeable, more like a gentle fade in tone. I should have enough yarn for the hat and a small version of the cowl. 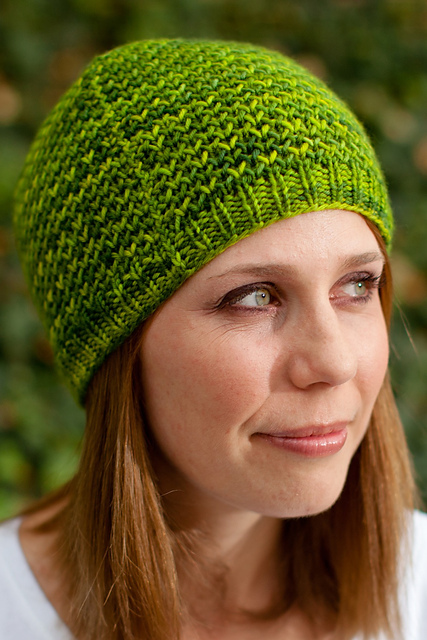 A fun and easy fall accessory set should be just the thing to get my knitting mojo back. Have you ever had a project that just did not want to be? Check out Tamis Amis for more WIPs! This entry was posted in BlueMoon, CephalopodYarns, cowls, hats, socks, spindles, spinning, WIPs, WIPWed and tagged BMFA, cephalopodyarn, knitting, knitting patterns by shoelaceswitcher. Bookmark the permalink. 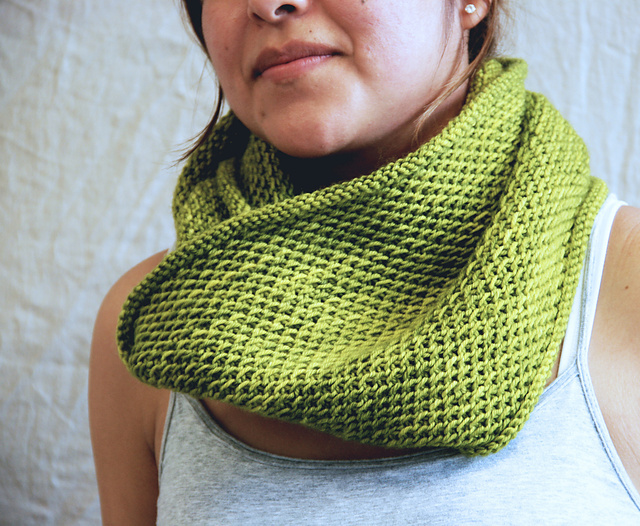 The honey cowl is fun to knit, great texture to it. I’m really loving the pooling on that pair of socks. So many cute little spindles! um, every other project I’ve worked on. I texted a friend in a panic the Saturday before I left for Ireland bc I was all stressed about what knitting to take. I was going to do loads of knitting on the bus tour. she said throw a couple balls of sock yarn in your bag and call it good. I threw in 3. I did not finish a single sock on the trip. I love how travel-induced-knitting-panic is a real, widespread thing. For me, spinning is usually just an at-home activity; even when I was spindling, the weirdest place I did so was in the car on a road trip. But I don’t think I’d bust it out elsewhere, and with a few exceptions, I really haven’t taken my travel spinning wheel out and about. If knitting in public attracts strange questions, I can only imagine what spinning in public would do! That’s how I feel about it. 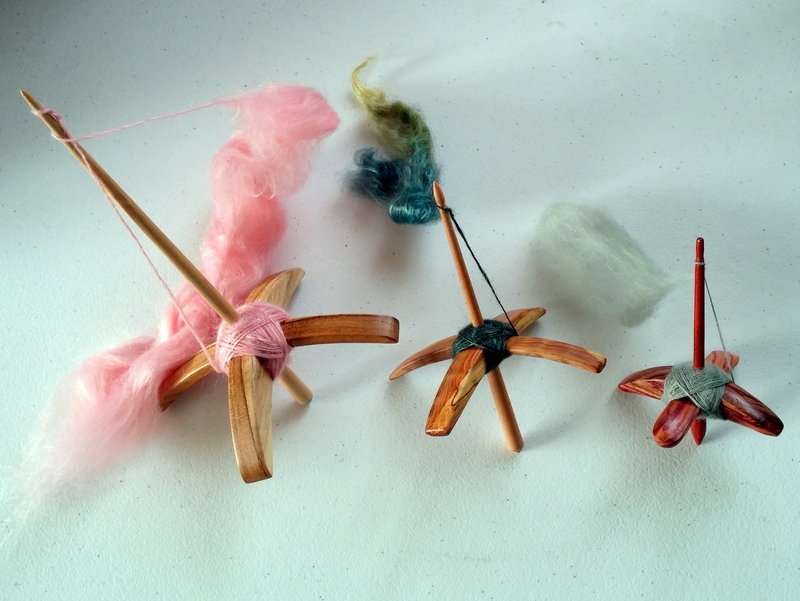 I’ll spin at a friend’s house on my spindles, and I tried spindling while taking a walk (disastrous), but I’d feel pretty strange spinning in my office or while waiting for an appointment, while I don’t think twice about knitting in those situations. Yea, I have a couple that are hibernating right now that i feel that way about. I like the hat and cowl though, I am sure you will get your mojo back with those! I also prefer to soon at home, and take my socks to knit when out and about. Socks, hats, mitts or scarf. Something with minimal directions to refer to. Agreed! Having easy knitting with no charts or a simple pattern is ideal for traveling. Brickless is a perfect pattern for that dilemma. I am making one now with yarn I used in another project and it turned out hideously. The current Brickless is so stunning that I often just stare in amazement at the ability of one pattern to make the yarn sing! I will definitely be giving Brickless another go in a different yarn, I love the look of the pattern! The strangest place I have spun is probably the movie theatre (much easier to do supported spindling in the dark versus drop spindling :P). While I love the portability of spindling right now I am more afraid to dropping my spindle on the concrete and damaging it, and bus rides mean sitting in close spaces where people would not appreciate my supported long draw :D.
Spinning in the movie theater, there’s a thought! I could see supported spindling being better suited for that. I feel like I still have to look at my spinning too much to risk doing so in such a dark place. Projects that just don’t want to be? Boy do I know about those! 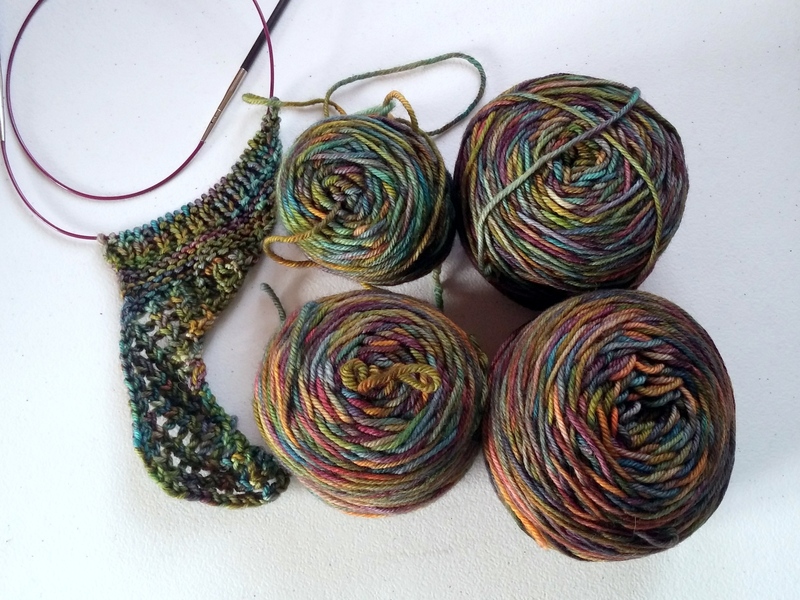 Aside from two pairs of cursed socks, I think pretty much every project I’ve tried to knit with variegated sock- or sport-weight yarn has turned out terribly. Finding the right project and stitch pattern is hard enough – matching skeins is worse! It can be really hard. I’m dealing with a cursed sock now myself. Those are NO FUN. The merino silk looks so pretty and pink! It’s not my usual color but it is quite a happy one! Ooh I think that hat and cowl would be gorgeous in that yarn.